Trailer: 01 : 46 min. 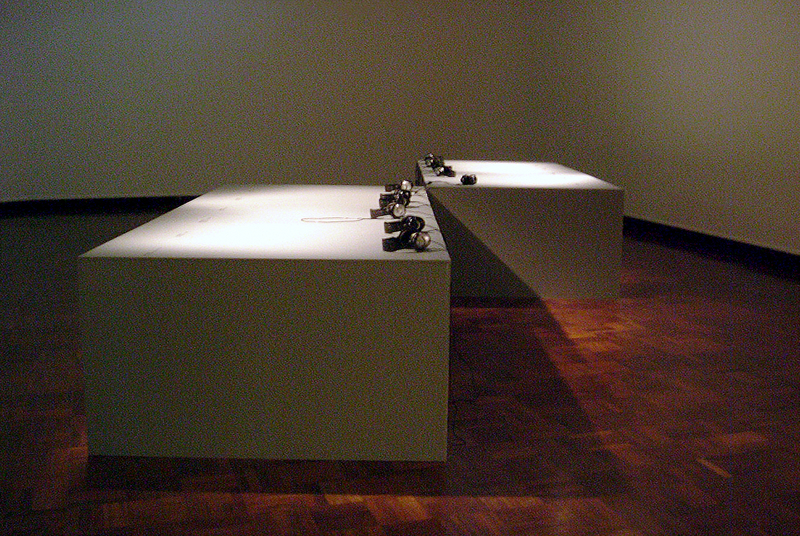 During 2004 – 2008 I produced a series of works in which I reveal the unsettling nature of language acquisition. Relocation, followed by the slow process of learning a new language, appeared to me as a precept for cultural estrangement. For A Sense of Belonging I hired a professional English teacher to improve my accent. The lesson consists of one single instruction: to repeatedly pronounce the phrase a sense of belonging and be corrected in articulation. The session deliberately dissolves into the absurd: learning becomes a process of destabilisation.